CHECK OUT ROTOCURVE’S NFL OFFERINGS INCLUDING A FREE TRIAL! Week 4 of the preseason is all about finalizing camp battles. For a lot of these players, this final game could end up being the most important football game they ever play. They are going to want to go out there and have the best game of their life. 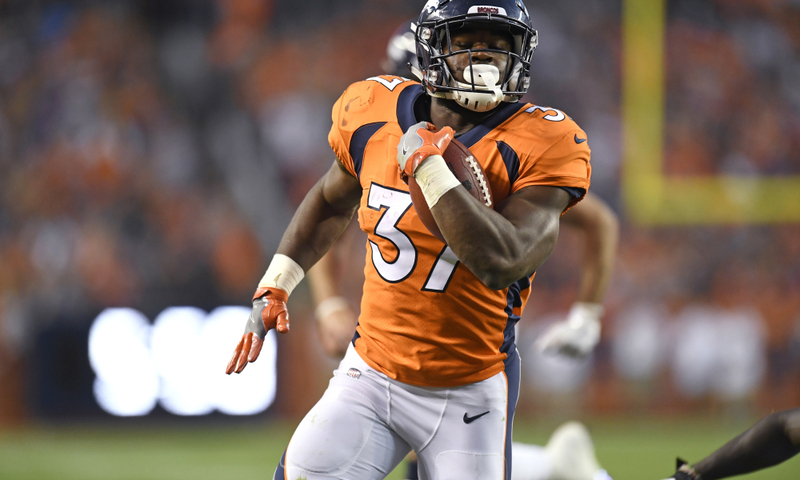 NFL teams need to see what these players on the roster bubble are capable of, so when you are making DFS preseason rosters, you will be looking at a lot of guys that you might not have ever even heard of, which offers a completely different dynamic. We have a massive 16-game slate to close out the preseason. Let’s gets after it, shall we? The 49ers have already announced that starting quarterback Jimmy Garoppolo is going to sit out Thursday’s preseason finale. That opens the door for Beathard, who started a handful of games last season and actually had a view viable fantasy outings during the regular season against starters. Now he is going to see run against the Chargers backups, which is intriguing. Beathard isn’t the greatest passer but he did run with the football a healthy amount last season, averaging 3.7 rushing attempts per game and we know what rushing does for a quarterback’s floor in fantasy. So far this preseason, Beathard is completing 60 percent of his passes for nearly 350 yards and the 49ers still have some talented, young pass-catchers to help him in this game. Denver came out and said that they will also be resting their starters for Thursday night’s game against the Cardinals– but Freeman is going to play. The fact that he isn’t already the starter over Devontae Booker is hilarious but they do value the latter’s ability to catch passes out of the backfield and protect the quarterback in pass protection. This is another opportunity for Freeman to prove he is the best back on this roster and with Booker outsnapping Freeman 15-10 when the starters were on the field last week, the fact that he won’t be playing is huge. It is pretty obvious that Freeman has arguably been the most impressive player this preseason, averaging over five yards per carry and finding the end zone in all three games thus far. Adams is in a perfect spot to play a ton on Thursday night and is honestly one of the best plays of the slate. The Eagles are very banged up right now so there is zero reason for them to play anyone of importance in this game. Jay Ajayi and Darren Sproles have nothing to prove and likely won’t suit up in this game. Zach Berman of the Philadelphia Inquirer reported that Adams is expected to get plenty of reps in this game against the Jets, as the Eagles want to see what he can do now that he is fully healthy. Adams is currently fighting for a roster spot, which is a situation DFS players want to look to take advantage of. In two preseason games, Adams has carried the football 10 times for 63 yards, though it still appears that Wendell Smallwood is ahead of Adams on the depth chart. Per Pro Football Focus, Adams has generated 41 yards after contact in limited action during the preseason, showcasing some ability. He will need to continue that if he wants to earn a spot on the final 53-man roster. Last year’s preseason darling, Abdullah has now found himself potentially fighting for a roster spot with the Lions. He is clearly nothing better than the number-four running back on this team and there have been some reports about Detroit possibly showcasing him for a trade. He figures to play quite a bit against the Browns, whether the team wants to see if he has enough to still make the roster or continue trying to trade him. I don’t like him nearly as much as the previous running backs, but he is certainly worth a look. The Texans have a couple of guys fighting for the number-three role at the wide receiver position and in my opinion, Ellington is the most talented of the guys that will get run on Thursday night. He has big play ability and the Cowboys secondary isn’t exactly the deepest in the NFL. Ellington has hauled in seven balls for 72 yards and a touchdown so far during the preseason and he will have every opportunity to prove that he should be third on the depth chart behind DeAndre Hopkins and Will Fuller. Green Bay has a lot of depth at the wide receiver position but with recent reports that fourth-round pick Moore could be on the roster bubble, he needs to have himself a strong showing. He has had an issue with dropped passes during the preseason and training camp but was very impressive in Week 3 against the Raiders, seeing eight targets and totaling 62 receiving yards. With Aaron Rodgers at quarterback, this receiving corp needs to prove that he can trust them and this may be Moore’s best chance to do just that. DeValve has been banged up this preseason, which has allowed Devon Cajuste to see significant run behind David Njoku, who has obviously locked up the starting job. DeValve needs to prove that he should be the secondary option but as long as he is good to go, I think he eventually wins out. This is a guy who has played meaningful snaps in the NFL and actually showed some flashes over the last two seasons. It looks like the Browns will have one roster spot available between the two so DeValve will need to play and play his best.